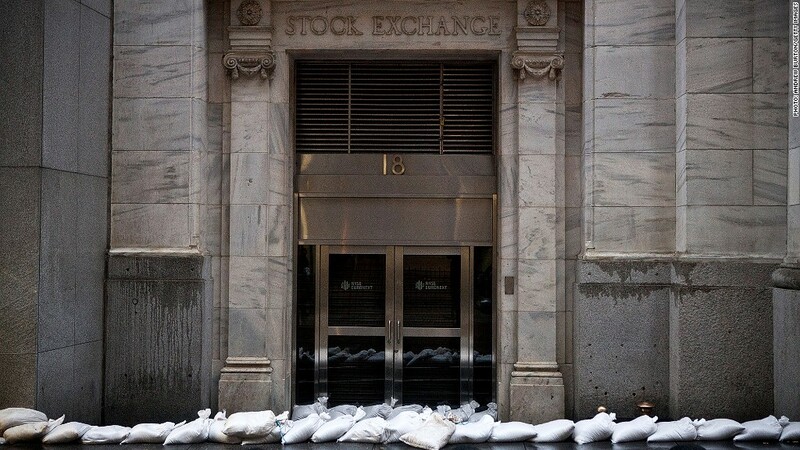 U.S. stock markets were shut for two days as New York City dealt with the impact from Hurricane Sandy. U.S. financial markets will reopen Wednesday, after being shuttered for two days to deal with the devastating impact of Superstorm Sandy. Major exchange operators NYSE Euronext (NYX) and Nasdaq OMX (NDAQ) said they expect to resume normal operations, starting with the 9:30 a.m. ringing of the opening bell. Bonds, derivatives and options will also all reopen. "Our building and systems were not damaged and our people have been working diligently to ensure that we have a smooth opening tomorrow," NYSE Euronext CEO Duncan Niederauer said in a statement. The exchanges spent the bulk of Tuesday conducting tests with member firms. There had been some concern that floor trading might remain shuttered for a third day. The NYSE said early Tuesday that it had already been working to ensure that its electronic exchange, NYSE Arca, could take the lead if necessary. NYSE Arca trades more than 8,000 securities, including those listed on Nasdaq. Bond trading was closed Tuesday but the CME Group (CME) kept U.S. stock futures trading open both Monday and Tuesday. 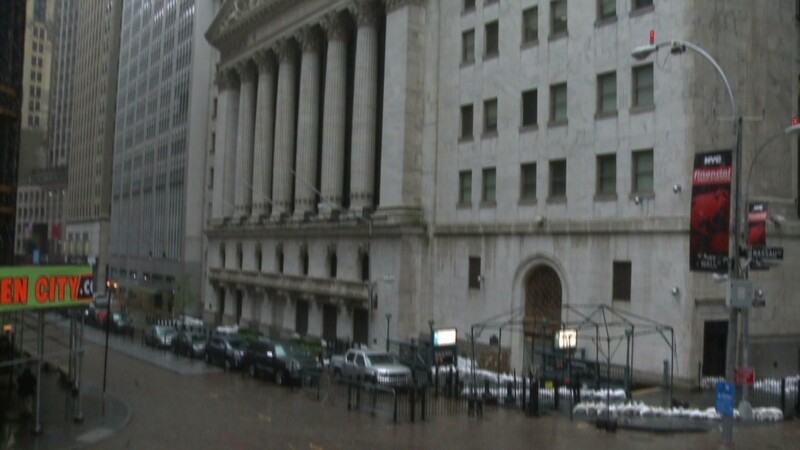 NYSE rarely shuts down for weather-related emergencies: Hurricane Gloria in 1985 and a snowstorm in 1969 were the last major weather events to bring the exchange to a halt. In fact, the last time the market was closed for two consecutive weather-related days was more than a century ago, when the New York Stock Exchange kept its doors shut as the city coped with the Blizzard of 1888. The last unscheduled shutdown was in September 2001, when markets were closed for four full trading days following the Sept. 11 attacks. And on January 2, 2007, the entire market was closed in accordance with the country's national day of mourning in memory of President Gerald Ford, who had died a week earlier. Market operators and regulators try to avoid prolonged market closures to limit volatility. Getting markets open is a priority for the exchanges. But it is even more crucial since Wednesday is the last day of the month, a time when traders, hedge funds and mutual funds often square up their positions. The Dow Jones industrial average, Nasdaq and S&P 500 are on track to end October with declines of 2% to 4%. It's been a rough month on Wall Street. There have been wild swings mixed with days when stocks barely budged as investors became increasingly unwilling to place any big bets ahead of the presidential election and amid concerns about the upcoming fiscal cliff. Less-than-stellar quarterly earnings reports didn't help matters. -- CNNMoney's Hibah Yousuf contributed to this story.